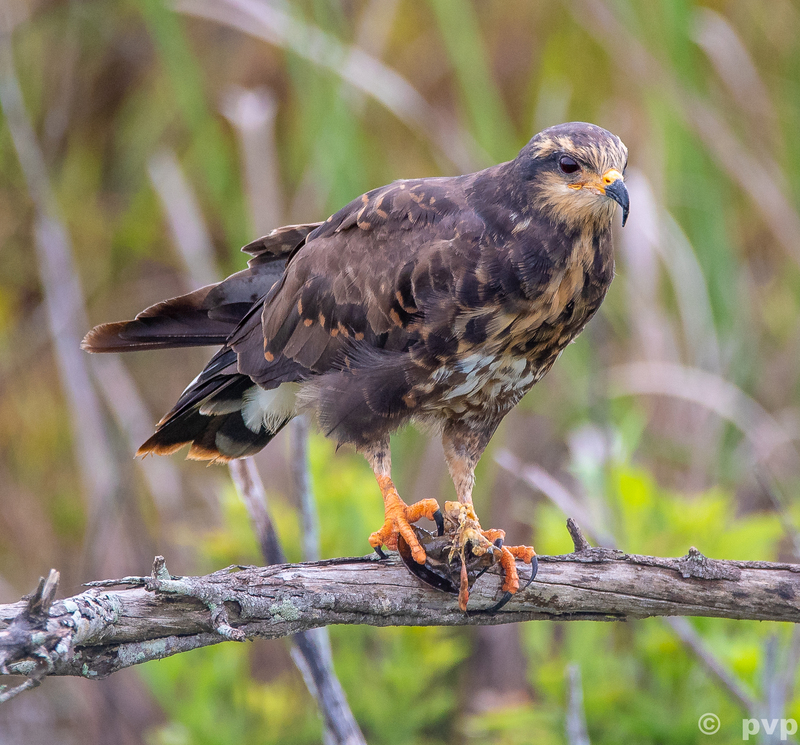 The Snail Kite (Rostrhamus sociabilis) feeds almost exclusively on Apple Snails, a Central And South Florida wetlands large mollusk. 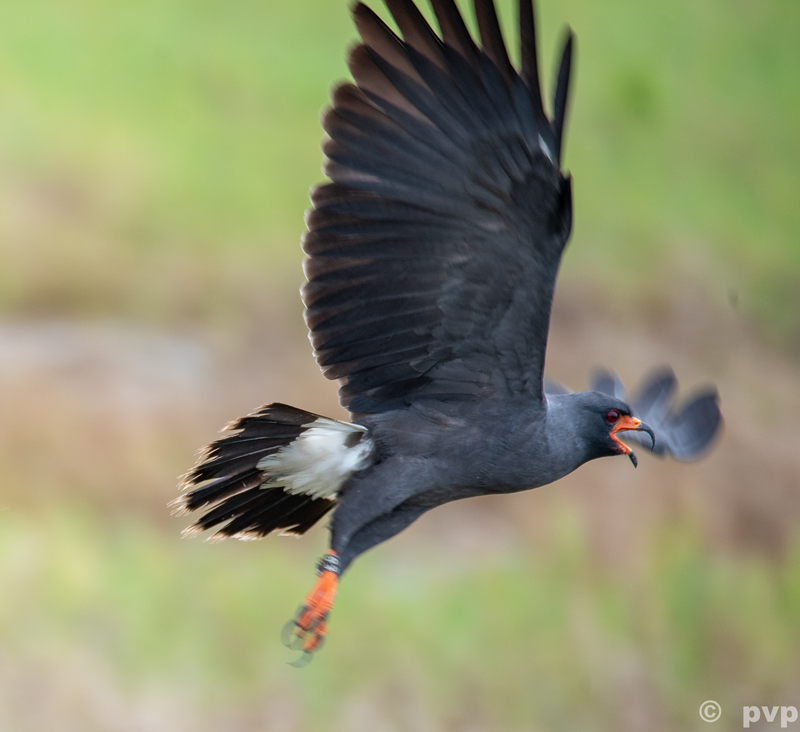 A drought in the Everglades system in south Florida forced the Snail Kite north to the T.M. Goodwin Waterfowl Management Area. Female Snail Kites are only slightly larger than males but they can easily be sexed by color although it is difficult to separate juveniles from female adults as they have nearly the same coloration. Degradation of habitat in the Snail Kite’s previously productive areas has resulted in endangered species status for this Kite. 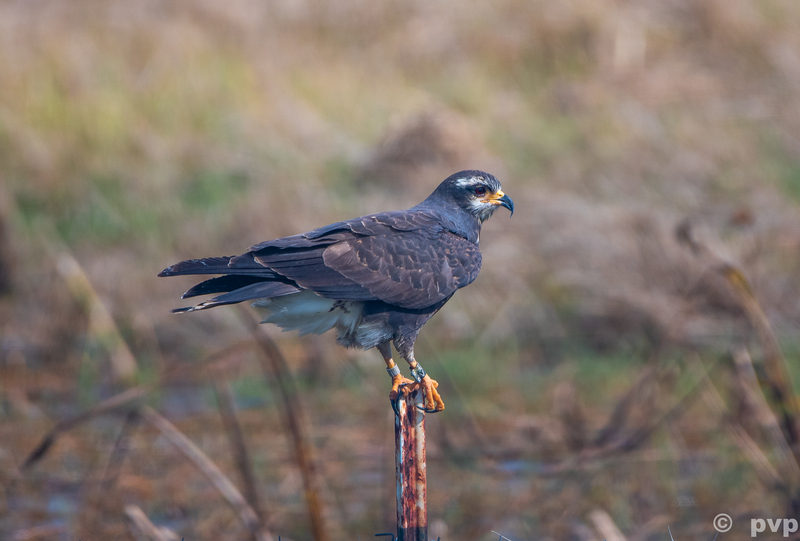 Wetlands degradation has impacted the Apple Snail population with foreseeable results on the Snail Kite. Note the identification bands on the male and female images. Because the Snail Kite is a system-wide indicator species, they are carefully captured, banded and tracked. 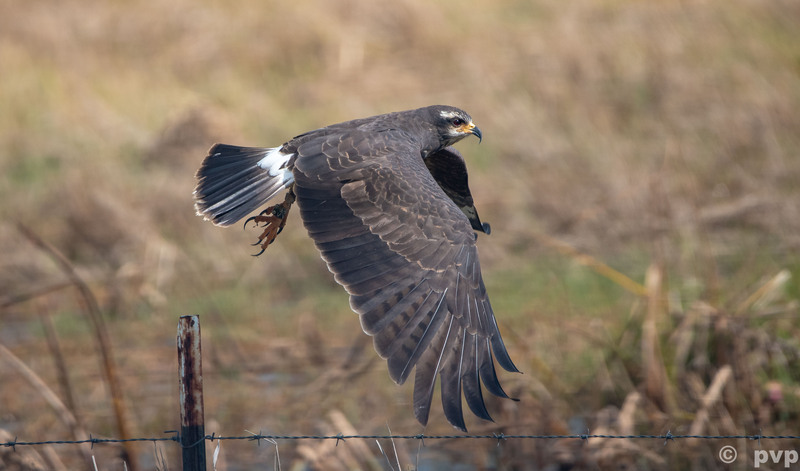 Amateur citizen scientists and professionals have noticed Snail Kites preying on Black Crappies and crayfish when snail populations are low. The bird’s curved beak is slightly off-center to allow it to easily extract the snail from its spiraled shell This modification will (I assume) limit alternative prey. This entry was written by whyevolutionistrue and posted on February 10, 2019 at 7:30 am and filed under birds, photography. Bookmark the permalink. Follow any comments here with the RSS feed for this post. Both comments and trackbacks are currently closed. There was some discussion a few years ago about the effects of non-native snails in Florida lakes. The snails were larger than the usual snail kite’s prey which hindered their ability to hold them in order to extract them. The biggest effects were seen with the juvenile kites who, being less experienced, dropped them more often, So they were unable to eat as much as they needed. I wonder whether this might drive behavioral or morphological adaptations and eventually evolution in the snail kites. Great photos, thanks for sharing a somewhat unusual species with us. Very interesting! I was only vaguely aware of this bird before now. Thanks! I’ve had Apple Snails in aquariums before. They can get pretty big and put quite a bio load on your filters but you do regularly see them for sale at local aquarium shops. Beautiful photos of a great bird. The first time I visited Paraguay was in September, ’92. That was a flood year. The lower Chaco was flooded for at least 150 km from the Rio Paraguay. 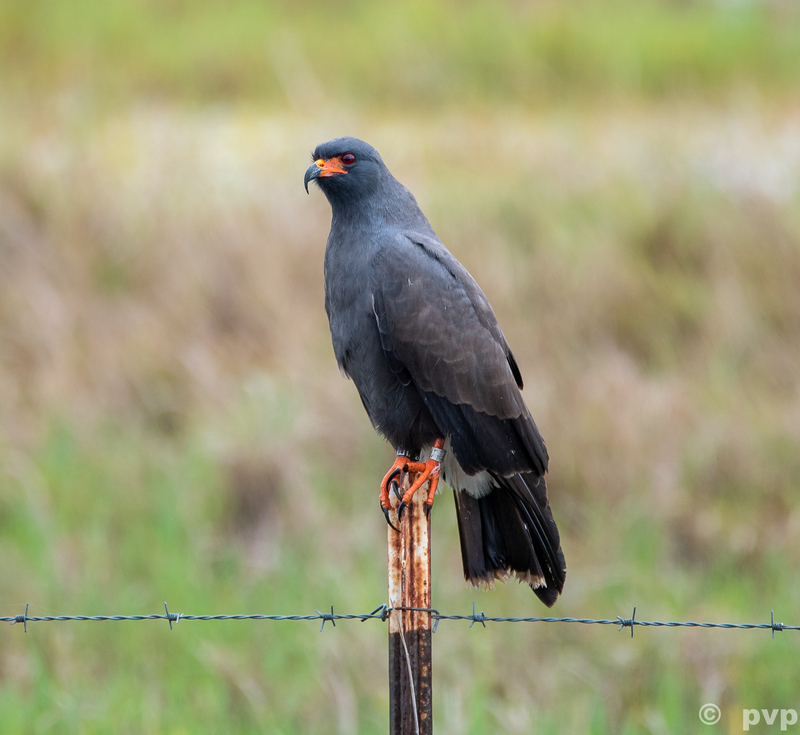 There was a Snail Kite on the wire between most pairs of utility poles along the Trans-Chaco highway from near the river to the end of the marshes. Extraordinary bird. 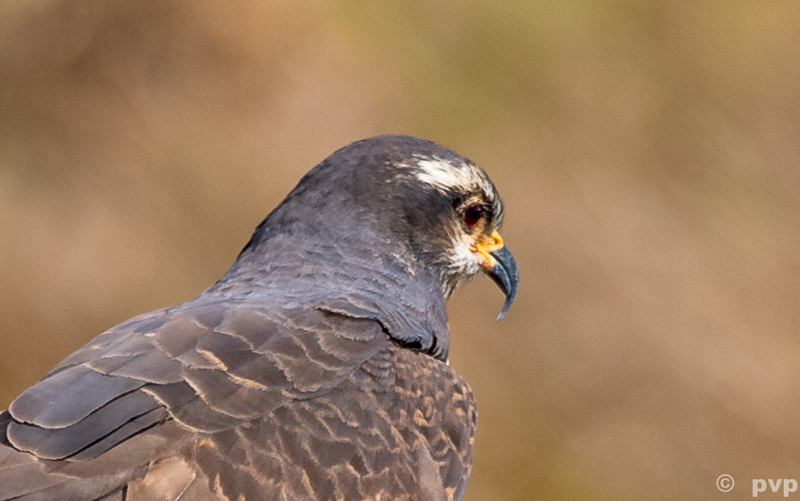 In additions to the beak, the talons look as if they might be specialized too. Very thin and long, perhaps for digging the snail from it’s shell. 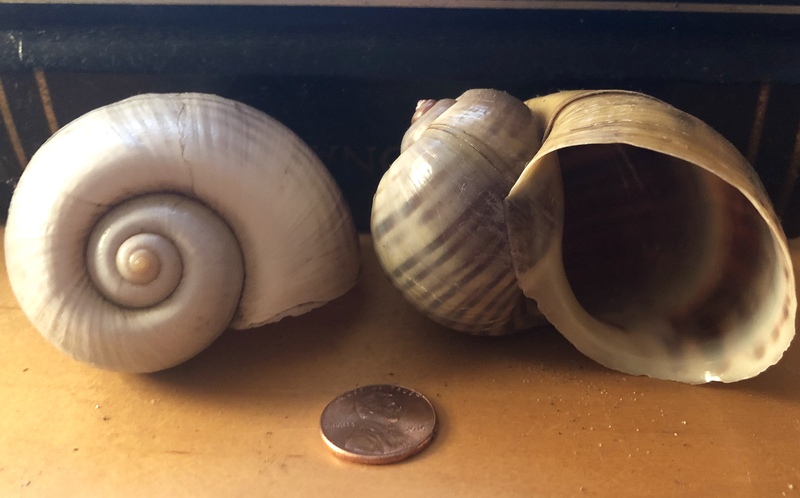 Thanks for the scale-coin in the snail picture – I would have otherwise no sense of how big these shells are.